SALT LAKE CITY (February 13, 2015) – StoryWorth, a San Francisco start up company that offers an email-based storytelling service, today swept the RootsTech Innovator Showdown, winning both first prize and the People’s Choice award, and claiming a purse of $15,000. RootsTech is the world’s largest family history conference hosted by FamilySearch. We received 51 excellent entries and the competition this year surpassed our expectations. It has been very tough for our judges to make their decisions. We appreciate your patient during the judging process. For all those who made the submission deadline, thank you. You are officially eligible to be considered to receive an award from our $25,000 purse. For those who were unable to submit an app or make our deadline this year, we encourage you to follow us on LinkedIn and Twitter and prepare for the 2016 challenge. We are very excited at the number of entries we've received in the last several hours. With just over 12 hours left (it's 10:51am here), we want to make sure you are aware of the deadline for submissions (if you haven't already). We've updated the rules and will allow submissions up until 11:45 PM Mountain Standard Time (US/Can). On behalf of the RootsTech Innovator Challenge organizing committee, we want to thank all of you who have had interest in our $25,000 family history challenge. We are getting down to the wire on submissions and want to make sure you have all the information you need to finish. Just a reminder that the battle for $25,000 in total cash and prizes begins only when you submit your app for consideration by the deadline WHICH IS IN TWO DAYS!!!! We are excited about the apps that have already been submitted. This is the last weekend to prep your submissions. Please allow me to offer some important, useful tips on this final stretch! Our judges will go as in-depth in evaluating your app as they feel necessary, but your job is to optimize their first impression. Use a video to sell them on it, and keep it short and impactful. Talk about the problem/solution, the market need, as well as your best features. Why users need this and why it is so awesome, not just what it does. ... does your app matter? Potentially awesome idea. Likely pretty easy. If I wasn’t an employee (disqualified), I might chase the $25k with this idea. Getting people with the same last name to meet-up and engage in family history can be a challenge. Get this right and you’ll have the attention of the large family history industry players. My brother noticed this on Facebook earlier this year. Teespring.com has had remarkable success getting its partners (internet marketers) to generate significant traffic of people with the same last name! With 30 days left, we are excited at the number of registrants for the challenge. But time is ticking. And we've heard you loud and clear (from the survey results). So, if you want more ideas, we've uncovered a GOLDMINE of feedback from FamilySearch users. Take a look at https://getsatisfaction.com/familysearch/ideas/popular and let us know what you think on our discussion page. Do you have what it takes to take home the grand prize? Maybe one of these ideas will help you bring home the money!!! The RootsTech Innovator Challenge provides a great opportunity to put your development skills and creativity together to create something cool, to get some great recognition, and to hopefully win some cash too. 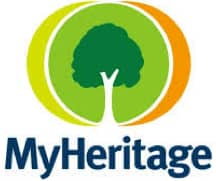 If you are new to the family history technology space, you may be looking for app ideas and we would like to help. Thank you to all who joined us yesterday for our webinar! We hope these two resources will inspire ideas and give you direction on creating an award winning app! Did you get the word? We're providing ideas that could win you $25,000 in our challenge. Join us for our webinar in 30 minutes. Go online to http://bit.ly/rticwebinar1. * This presentation will be recorded and posted here within 24 hours. Thank you for registering for the RootsTech Innovator Challenge on ChallengePost.com. Why we are hosting this challenge and what is it all about? Do I have to know anything about family history or genealogy to win this challenge? Is there anything I should know about family history that may help with this challenge? What are some ideas that can help me get started? What tools or resources should I tap in to? What are the key market opportunities in the Family History space? What gaps are holding back these billions? Check out the deck. It includes a lot of details on the 'What' and 'How'.